This weekend we took our first road trip since Aven was born. We got lucky and she didn't cry for much of the three hour trip to Bryson City, NC. We've tried to stay close to home with her to avoid stressful car rides but when I found out that the Great Smoky Mountains Railroad was hosting a Chuggington Train adventure, I knew that we were going! 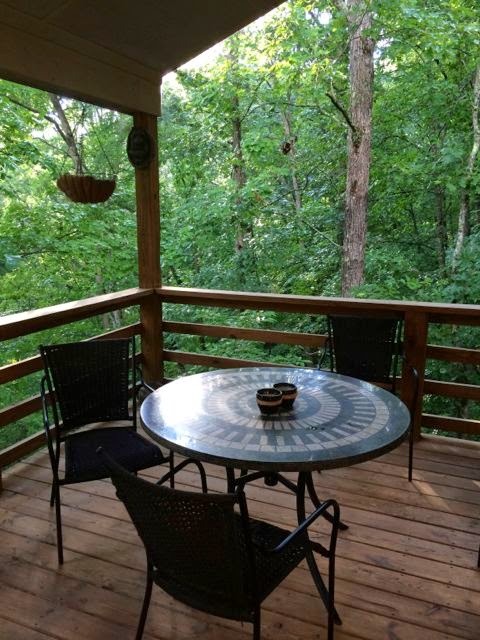 We rented a house for the weekend and spent most of our time sitting on the tree top deck. It was covered and had a ceiling fan so when it rained we were happy to sit and relax out there and the fan kept any bugs away. We were just a short drive away from the train depot in Bryson City. The weather cooperated long enough for our Chuggington adventure and we all had a great time riding on the train, meeting the Chuggington trains, and taking part in the adventure games. The train ride took us to an adventure area that had tents with different Chuggington challenges set up for the kids. There was also a roundhouse that my little one couldn't resist trying to take a peek into. I can't blame him though because I was almost as excited as he was at his chance to experience meeting his favorite characters. It was such a great weekend and we really needed to get away. It won't be easy to forget the look on his face when he saw the trains come out to meet everyone. 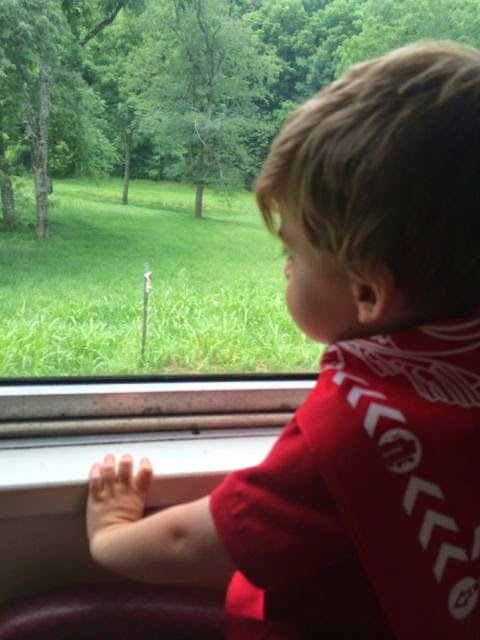 So glad it didn't rain on you all and so glad you had a good time with Chuggington and visiting Bryson City!